Kyle has worked in the fly fishing industry for a dozen years guiding trout fishing in Colorado, managing content production, and writing for an assortment of publications. While at Bair’s, Kyle continues to write and advocate for the Marine Fish Conservation Network, a national nonprofit working to protect our fisheries. During the Bair’s offseason Kyle is found guiding clients to hungry striped bass on the coast and flats of Maine. Kitri was immediately drawn to Kyle’s passion for fly fishing and has been learning ever since. Before coming to Bair’s, Kitri taught (and learned) with many incredible 5th & 6th graders. In the off season, she teaches yoga and stained glass workshops. 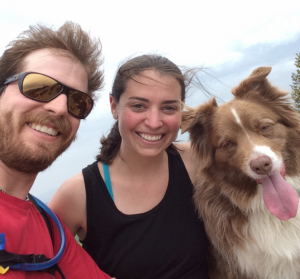 Connecting with nature is certainly a way of life for Kyle, Kitri, and their Australian Shepherd Laynie. Whether it’s skiing & backpacking in the mountains or paddle boarding & fly fishing in the salt – they are always down for an outdoor adventure. Leslie is a real Androsian and has been guiding at Bair’s for 22 years—talk about a long time! He fell in love with fishing when he was a kid and what he enjoys most is the relaxing feeling he gets when he’s on the water. He likes to describe himself as a fishy guy! 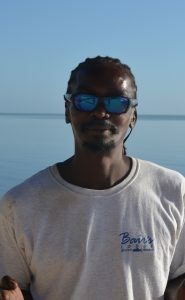 Born and raised in Congo Town, South Andros, Tee believes that living and working in the Bahamas is a blessing and truly enjoys being on the water and meeting new people. He’s passionate about teaching anglers new tips and techniques. Harley has spent his entire life in South Andros. 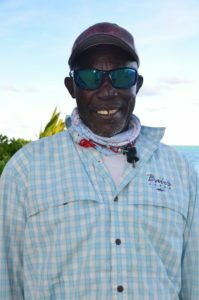 He is one of South Andros’ veteran guides and started fishing at a very young age. He enjoys the team aspect, the environment, the sun and water. 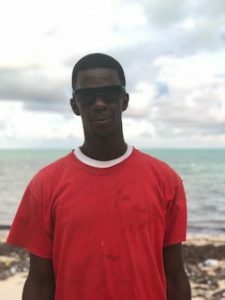 Abaco guide Travis is Harley’s son—so if you’ve met Travis, you’ll know whom his huge smile came from. 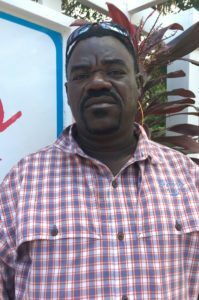 Although he was raised in South Andros, Gary came to us from Nassau. 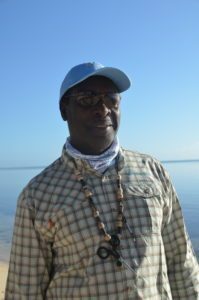 He’s one of our long-standing guides and began apprenticing at the age of 25. 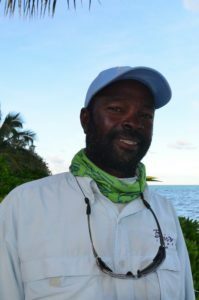 He’s also a natural born joker—and a natural born bonefish spotter—so you’ll surely enjoy your time with him on the water. 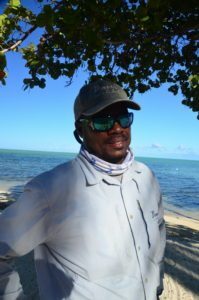 Proud of his country for its safety and opportunities, he loves everything about being a bonefish guide—but most of all meeting new people and sharing his experiences. With Ronnie, it’s all about the water: bonefishing, offshore fishing and diving the island’s amazing blue holes. So, just look toward the water and you’ll find him! Chris has been working at Bair’s since 2015. He loves the Bahamas for its easy-going vibe. Of course—what loves even more—is that it’s the best bonefishing destination in the world. Chris also owns a local Bar. He’ll be happy to fix you up some drinks! 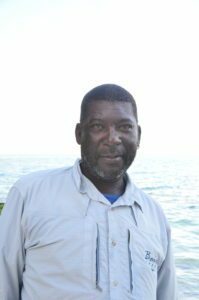 Valentino was born in Nassau, but has lived in Freeport and in the Abacos. 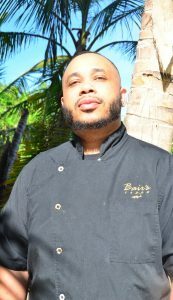 Having worked in the best restaurants around the Bahamas, his mastery of culinary arts has led to a love of experimenting with new dishes every season. Quick Valentino trivia: poetry is one of his other passions. 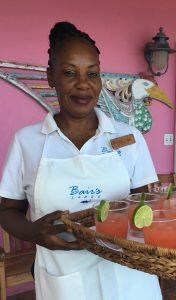 Originally from Nassau, Lisa moved to South Andros less than 2 years ago and immediately fell in love with the place. At the lodge, she’s in charge of keeping all our bedding soft and gentle to ensure our guests have a pleasurable night’s rest. Lisa is also the lodge’s certified birthday cake lady! Lita is a Bair’s Lodge legend (she’s been working here since before it was the Bair’s you know today). She is cool, calm and collected, and loves warming hearts with her beautiful smile every evening. Lita is also our head guide’s wife. It was love that brought Michelle to South Andros more than twenty years ago. 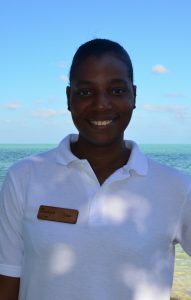 Proud mother of a teenage boy, Michelle is a true team asset, keeping the lodge in tip-top shape for our guests. When she’s not working, Michelle loves fixing hair, dancing and singing karaoke. Val is also one of the veteran members of the Bair’s team having worked with us since 2005. 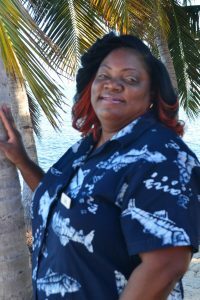 She has an incredible sense of humor and what she loves best about the hospitality business is the rewarding feeling of making an impact on somebody’s life. At Bair’s’ she will delight you with her exquisite homemade bread. Anston is Val’s son. Together with Darrell, he keeps the lodge functioning smoothly and spick and span. Recently, he’s also become our boat mechanic. 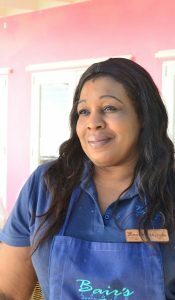 Anston loves the Bahamas for the freedom it provides and its laidback atmosphere. When he’s not working—sometimes even when he is!—he loves listening to music.